21st March has been declared as the International Day of Forests and the Tree by the United Nations General Assembly. This new global celebration of forests builds on the successes of the International Year of Forests in 2011, and provides a platform to raise awareness of the importance of all types of forests and of trees outside forests. 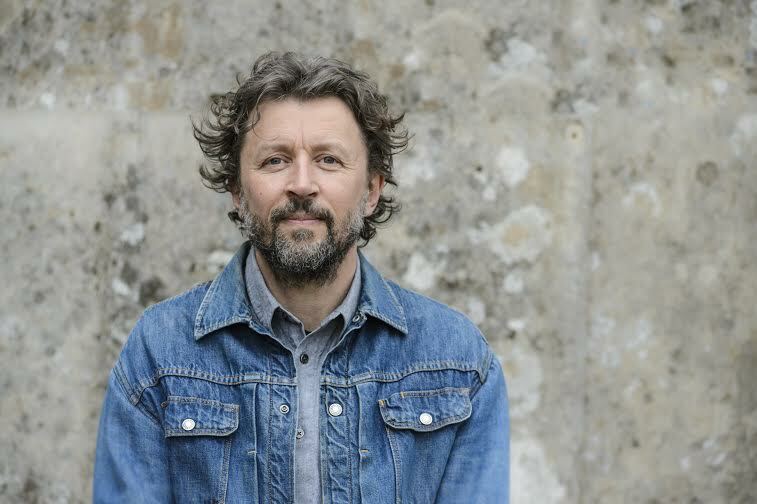 Dan Pearson is an English garden designer, landscape designer, journalist and television presenter whose love for nature and plants is deep rooted in the environment in which he grew up as a child, and the loving guidance and freedom given to him by his parents to express himself. Ebenezar: It's a pleasure having you on The Stroll, Mr. Pearson. Dan: Thank you very much for asking me, Ebenezar. Ebenezar: It's always great to start from the beginning, and so I'll like us to start from the early influences on your career. Your dad was an artist, and mom was a textile designer -- who both loved gardening, by the way -- and they both supported you in pursuing that dream of being the World-class Garden Designer you are today. Can you tell us a bit more about them and others who influenced your love for gardening back as a kid? Dan: Well, my parents were both very practical people, and so I was encouraged to use my hands and make things from a very young age. 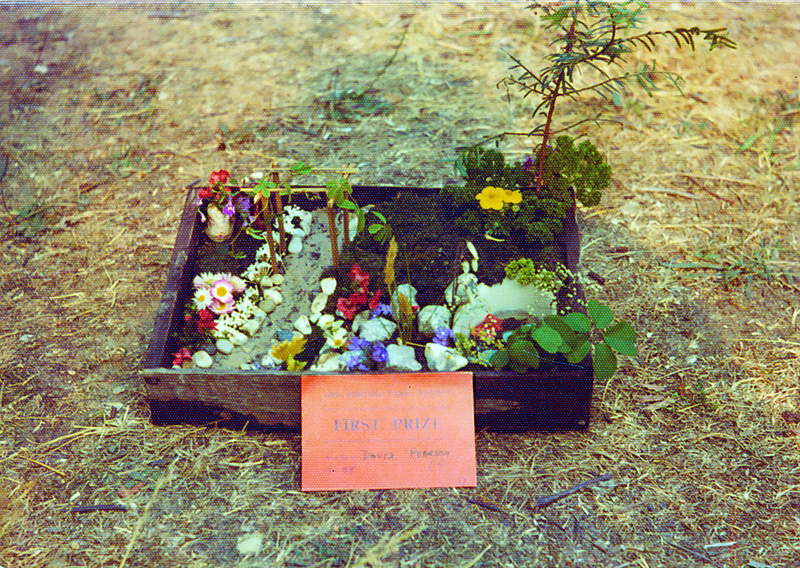 I started by making small gardens for my Troll toys out of bricks and moss and weeds, and also spent hours staring at the wildlife in the small pond in our garden, getting my first understanding of a closed ecosystem. 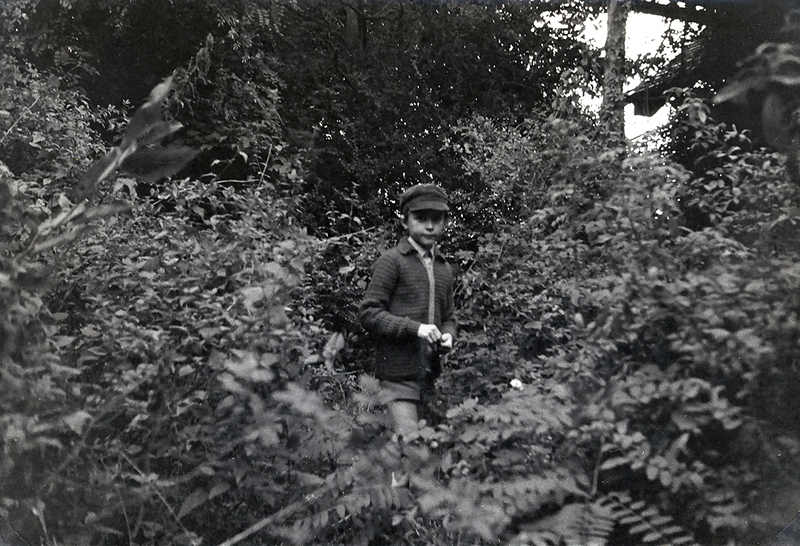 My early interest in plants and the natural world was very apparent to my parents, and they nurtured it gently by simply allowing me to do what I loved doing. There was no song and dance made about it, just the act of creating a space in which I could pursue my interest. My dad would take me to the Chelsea Flower Show, or important gardens like Sissinghurst and Great Dixter, and helped me to create my first flower borders. When I was about six years old, our neighbor, Geraldine Noyes, who had also noticed my interest in plants, invited me to visit her in her garden whenever I wanted. 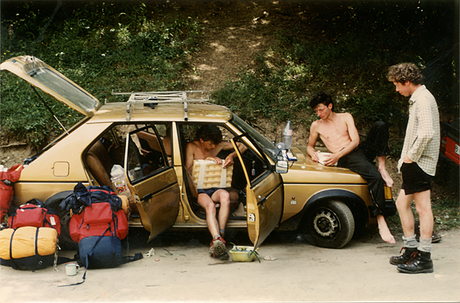 She was a school teacher, and a naturalist, who spent her summer holidays travelling in Europe, botanising and looking for rare plant specimens. Back home she would unwrap each of her treasures from wet newspaper and tell me what the plant was, where she had found it and what conditions it would need to survive in her garden. She was the first person to open my eyes to the importance of observing wild plants in their natural habitats. Dan: A little later, when I was about 11, we moved into a larger house on the same road I had grown up on. It had been owned by an old lady who had died there and the garden, which she had planted 50 or 60 years earlier, had completely overwhelmed the house. There was ivy coming in through all the windows and a thorny wilderness surrounded the house, like the castle in Sleeping Beauty. It was a magical and inspiring place for a child, and it showed me the power of plants and the feral and mysterious quality of wildness. I soon got myself a job helping at a local private garden which opened to the public at weekends. Mrs. Pumphrey, the owner, was a very talented gardener, with natural flair, and she was unusual because her horticultural expertise was combined with an artistic eye. She encouraged me to see plants in terms of composition and color, and she introduced me to some of the most interesting nurseries and plantspeople working at the time. Ebenezar: I also discovered that one major turning point in your life, was during your preparation for A-levels. Mom advised you to follow your heart and you eventually opted out of the A-levels program to pursue an apprenticeship program at the Royal Horticultural Society. How do you feel looking back at that decision? Dan: It was the best thing I could have decided to do at that point. 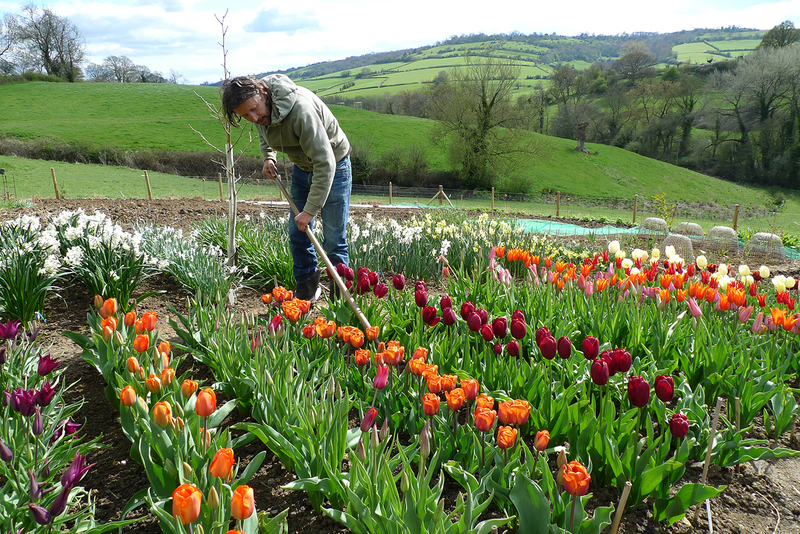 I was unhappy at school, and felt so much more myself working outdoors learning about plants and horticulture. However, it was a strictly vocational course and I knew before I started at Wisley that I wanted to be more than a gardener. I was interested in design, but there were no garden design courses then, so I studied horticulture and educated myself about design by visiting gardens and reading. Ebenezar: Wow, interesting. Juxtaposing the apprenticeship-style of training you received from RHS with the regular style of Education we have today, do you think apprenticeship should be brought back as a style of learning, considering that this current style hasn't helped so well in solving the global unemployment problem? Dan: Apprenticeships are definitely a good way into employment for people who are more practically driven. I had always been encouraged to make things as a child, and found the requirement to sit at a desk in a classroom reading books stultifying. I think that a lot of children feel the same way, and the education system does not necessarily help those who aren't academic to develop their innate skills or gain employment that is enjoyable and suitable for them. Some of the most interesting people I have met have not followed the standard educational route. Dan: Yeah, I think that more practical hands on education gives young people the confidence and skills to start work and make a difference earlier than some of their peers, who go through the tertiary education route and may still end up finding employment opportunities difficult to come by. I also fear that manual skills are not sufficiently valued, and in the UK we are seeing craft and practical vocational courses suffering major funding cuts. The world needs makers and doers. Ebenezar: I totally agree sir. You once said; "The best compliment given to me after designing a space was when someone said, 'the space didn't look designed'." You describe your style as trying to plant just like nature -- sort of like biomimicry. How did you develop this "natural style," If you permit me to call it that? Dan: I was always interested in the wilder side of gardening, and this interest developed as I gained more knowledge. While I was studying at Wisley I wrote to Christopher Lloyd, the owner of Great Dixter (a very influential British garden), who had had great success naturalizing meadow and ornamental species of plants in the lawns around the house. He very generously gave me a personal guided tour of the gardens and shared some of his secrets. At the same time I was reading William Robinson (1838-1935), who wrote two very influential books, The Wild Garden and The English Flower Garden. He was a Victorian writer and gardener who was the first advocate of 'wild gardening', where plants were mixed together in a way that was looser and more natural looking than the traditional formal bedding schemes of the period. As my education continued at the Royal Botanic Garden Edinburgh and the Royal Botanic Gardens Kew, I started to travel to study plants and this is when my interest in trying to mimic the plant communities I saw in the wild really took hold. I saw some amazing sights in Israel, Spain and India, where plants that we commonly know as garden ornamentals, like irises, peonies and tulips, were to be found growing in huge colonies and breathtaking combinations. I desperately wanted to recreate this feeling of abundant wildness in my gardens. 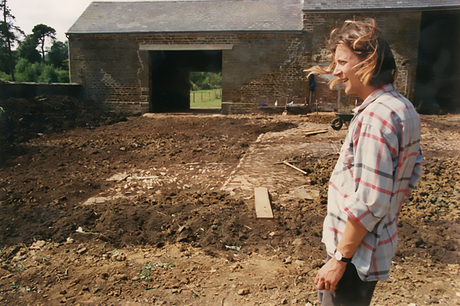 When I returned to England from Israel in 1987, a hugely influential and important client of mine, Frances Mossman, gave me her new property in Northamptonshire, to experiment in. That garden at Home Farm was my laboratory and the things that I learned there, and from constantly observing wild plants on my travels, are how I have built my own version of naturalistic planting. Ebenezar: Really nice, I find your style so impressive because I'm a really big fan of biomimicry. Well done, sir. Ebenezar: So, March 21st is International Day of Forests and the Tree, and the aim of this observance is to discourage deforestation as well as encourage tree-planting exercises around the world. Why do you think we need to protect our forests? Dan: Firstly, Ebenezar, I want to tell you something that you may not know, which is that I am a Tree Ambassador for the UK Tree Council, so I was particularly happy when you told me about the International Day of Forests and the Tree. They are launching their annual Tree Care Campaign on March 21st. Ebenezar: Wow, really? I totally didn't know that; beautiful coincidence. Dan: Yeah, I think it is essential for as much natural forest to be preserved as possible worldwide. There is a global march towards over-development and often trees are the losers in both urban and rural situations. On a daily basis through my work I come across people who do not see the value of trees, feeling that they are nothing more than an impediment to construction. I have also been working in China recently and have seen some sites where ancient forests have been cut down to make way for skyscrapers, which then sit in an alien and stark environment. To their credit the developer I am working with in Shanghai has actually rescued 1000 ancient camphor trees from the site of a new reservoir and moved them to be replanted at this new development in the city. Quite apart from the ground level effects of loss of forest felt by people in the developed and developing worlds, there is growing evidence that deforestation and degradation of forests is a huge contributor to global greenhouse gas emissions. It is great that the United Nations REDD Programme is working with indigenous peoples to reduce rainforest destruction worldwide, as these are the areas where corporations are most able to operate without compunction or consideration for local people or the environment. I try to plant as many trees as possible in the gardens I design, and encourage people to do the same whenever they have the opportunity. Ebenezar: Just like you've stated, Cities are expanding rapidly across the world, no thanks to rural-urban migration, and this has been cited as one major causes of deforestation. Urban planners are beginning to consider infusing nature with urbanization as a solution to this expansion. Do you think it's possible to expand our cities and preserve nature side-by-side? Dan: I think that it should absolutely be possible to combine development with preservation, but this requires a complete reframing of how we see cities. There is already a big debate going on about the boundaries between public and private space within the urban realm, which I think is very necessary. But I also think that, if corporations and developers are the ones deciding where new landscapes are created or how existing landscapes are preserved then there need to be very clear guidelines as to how that 'public' space is accessible and usable by the general public. In addition we must be wary of "greenwashing" where the inclusion of a landscape element is used as a smokescreen for unnecessary development. Ebenezar: So let's talk about the Chelsea Flower Show; one of the biggest flower shows in the world. You've exhibited five times I hear? And you've won five medals as well -- which is really awesome. How do you respond to accolades and awards? Dan: It's always nice to be told that you are good at something isn't it? Dan: But in all honesty it really is the doing that matters, not the winning. Creating something that you believe in to the very best of your ability is all you can do. If other people get it and want to recognise it publically, then that's great, but that isn't why you choose the work in the first place. Ebenezar: You've designed gardens all over the world; Japan, Italy, Russia, the US, to name a few. I listened to you on BBC Radio 4's Desert Island Discs recently, and I was just blown away that you included Nigerian Musician, Fela Kuti's "Water no get Enemy", as one of your favourite songs. Since you follow African Music, how come you've not done any projects in Africa yet? Dan: I haven't yet been asked to work in Africa! Apart from a few visits to Cape Town in South Africa, it is the one continent that I don't know, and yet would love to experience. Ebenezar: (Hahah) I'm sure Africa would love you to come around sometime. Did you hear about my 3 Friends from Ireland--Sophie, Ciara, and Emer--who won the Google Science Fair in 2014 for their Gardening-related Project? Dan: I hadn't before you mentioned them Ebenezar, but I was just reading about their project online. Very impressive research and the start of development of a product which could change lives all over the world. They should be very proud of themselves. I was also very interested to hear that your mother is a horticulturist. Ebenezar: Thanks, Mum introduced gardening to me when I was very young, but I seem to love writing more (Haha). About Sophie and her friends, I had them on the stroll last year, and they were really awesome. Now, my question is, how do you plan to mentor the next generation of gardeners to attain the kind of success you've experienced in this profession? Or do you have any mentees at the moment? Dan: I don't have any mentees at present, as the studio is so busy with design work. However, I hope that I act as a mentor to all of the people that I employ. Given my background I find that I straddle two worlds, as I am not simply a gardener, and neither am I a qualified designer. I hope that I can set an example to any young people who may feel that they need the right qualification to pursue their dreams, that what you really need to succeed are passion, determination and commitment. Ebenezar: Finally, before we go, apart from Mentorship programs, what other projects will the Dan Pearson Studio work on in 2015? Dan: We are currently working on a show garden for the 2015 Chelsea Flower Show, which takes place in London at the end of May. It is inspired by the wilder parts of the historic landscape gardens at Chatsworth, a stately home in Derbyshire, in the north of England. I am heavily involved in the final planting design for the Garden Bridge, a planted pedestrian bridge over the River Thames in Central London designed by Thomas Heatherwick. And we are working with Fosters Architects on the landscape for a new cancer care centre in Manchester for Maggie's Centres, a really wonderful client who we have worked with before. We also have a good number of private commissions in the UK and on both east and west coasts of the US. Ebenezar: Thank you so much for this opportunity, once again, Mr Pearson. God bless you and I wish you success in all your projects. Dan: Thank you. It has been both an absolute pleasure and very thought provoking speaking with you. This stroll was done to #Observe International Day of Forests and the Tree. My next stroll is with Australian teen inventor, Cynthia Lam, on March 22nd (World Water day). See you then.